As the egg hunting season isn’t that far off we thought we’d bring you a few iOS game apps before you get to gobble up all your eggs this Easter, and perhaps have you kids past a little time away playing these iOS Easter games rather than pestering you. First up is the ABBY Monkey Easter Games for Kids app, an iOS app that deliver three games for your children to pass the time away between eating all that chocolate this Easter, games called Easter Match, Colouring Book and Make an Egg. Easter Match is a memory game where you tap a card and uncover another card with the same picture and thus match all cards to complete. Colouring Book basically speaks for itself, you get 6 black and white pictures and 24 coloured pencils to colour the pictures. Make an Egg you get the choice of 3 eggs with 3 levels of decoration difficulty with each level having 6 colourings to give a total of 18 eggs. The ABBY Monkey app can be downloaded from iTunes for $0.99 and there is an Apple iPad version for $1.99. Next up we have the Easter Games app, another iOS app that delivers three games with three differing themes giving nine games in all for your child’s amusement and the games are fairly simple and suitable for all ages. The Easter Games app features games Drop, Match and Attack with Easter themes being Easter Eggs, Easter Bunnies and Rubber Duckies, and there is a hidden bonus game called Hoppy Easter. The Easter Games app is for the iPhone and iPod Touch and is available for download from iTunes for $0.99. 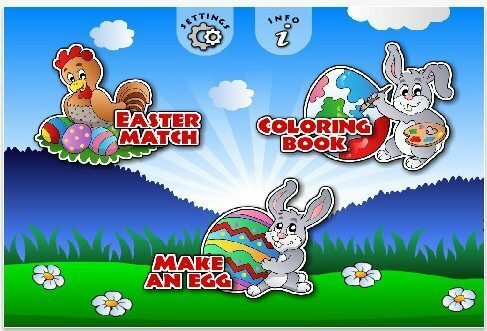 Then we have the Easter Fun Pack app for iOS devices that deliver two games in one with the option to choose between Catch an Egg or Easter Kalinko and also features background music and sound effects. The Catch an Egg game you use the arrow keys to move a basket to catch eggs being dropped by the Easter Bunny, but you have to watch out for rotten eggs. The Easter Kalinko game gets the use to click pegs in order to get an egg to drop into a moving basket and is time orientated so you’d better be quick. 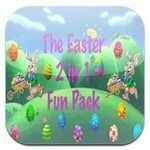 The Easter Fun Pack app is available from iTunes for $0.99. Or how about the Easter Egg Painter app, an app that lets you decorate Easter eggs by painting them and you get to pick which colour and brush size you want to paint your Easter egg with, and there are 6 different eggs to colour. The Easter Egg Painter app lets the user paint anything they want from a small sketch to a creative design or even egg people, and now has a new look and paint pallet. 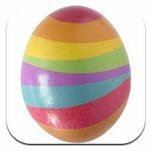 The Easter Egg Painter app is a free download from iTunes. 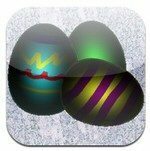 Last but not least we have the Easter Egg Hunt Game for iOS devices, a fun game whereby the user can catch a lot of magical eggs as they fly around your display, and you’ll need to catch them all to move on to the next level. The Easter Egg Hunter Game allows 5 attempts at catching all the magical eggs, and bonus points are awarded if you manage to catch them all within 5 moves, and then can you find the top eggs in the world? 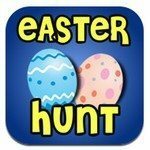 The Easter Egg Hunter Game can be downloaded at a cost of $1.99 from iTunes. 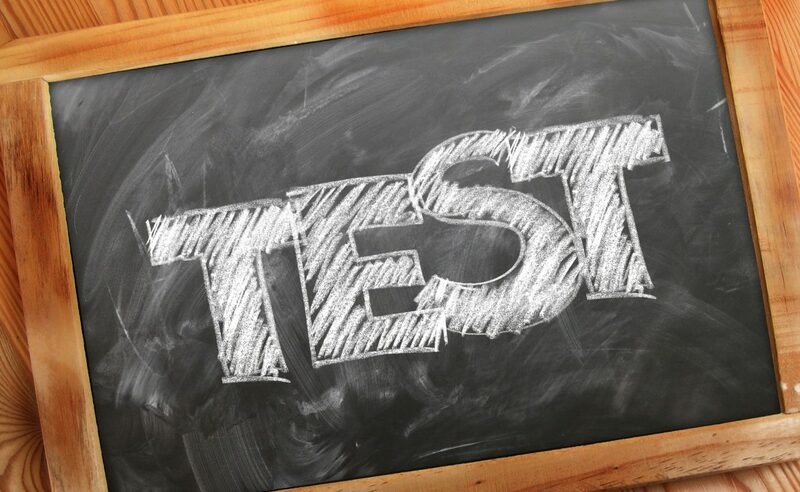 So there you have it just a few of our top Easter games iOS app picks for your consideration this Easter time, of course you may already have your own favourite Easter game app and if so feel free to share it with us by posting to our comments area below.